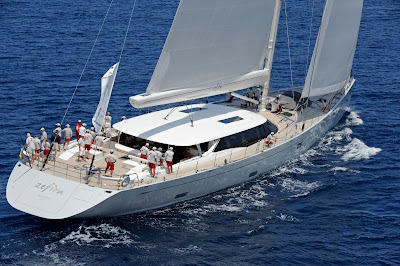 The 44.8-metre ketch Timoneer has snatched victory at the Dubois Cup 2011 in Porto Cervo defeating Andrew Cook's 30-metre Nostromo ahead of Salvatore Trifiro's 49.7-metre fast cruising sloop Zefira who finished third. Racing kicked off today on schedule as the fleet of nine were sent on a 17 nautical mile course up along the north-eastern Sardinia coast, through the strait between Capo Ferro and the Isole delle Bisce islet then on an upwind beat to Monaci island followed by a downwind run to the finish line off Porto Cervo. The 7-8 knot northerly breeze on the start line eased off by end of the race. The 2010-launched Zefira was fastest around the track while Timoneer claimed the overall handicap victory. Ed Dubois, founder and CEO of Dubois Naval Architects, made a very personal appeal to support research into childhood illness. The Dubois Child Cancer Fund has recently been set up to fund specific research into the childhood cancer Neuroblastoma and the regatta served as a platform to launch the initiative. 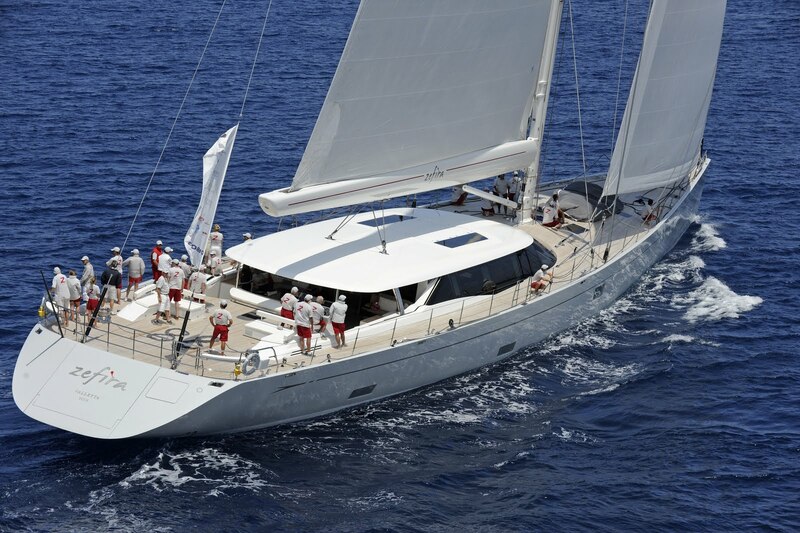 The race also highlighted Dubois Naval Architects and Dubois Yachts commitment to balancing the event's carbon footprint, making this one of the first superyacht events to do so. "It is always a real pleasure for us to host this event. Ed Dubois' extended family of owners and crews have returned to Porto Cervo to enjoy some wonderful racing in a beautiful setting and to have some fun. This event always brings a real atmosphere of camaraderie and sportsmanship and I am already looking forward to the 2013 edition and an even bigger Dubois fleet." said Riccardo Bonadeo, YCCS Commodore. The Dubois Cup 2011 closed in typical Yacht Club Costa Smeralda style with a prize giving ceremony followed by a barbecue and dancing at the Clubhouse.